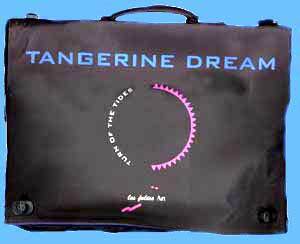 A trip to Italy for "Turn of the tides"
Tangerine Dream's style and influence is often compared to the one of worlds rock-giants like Genesis or Pink Floyd. But for years, there was an important difference: Edgar and his band always denied commercial performances, big press-meetings and similar public relation activities. 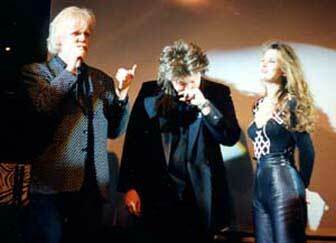 This made some people feel astonished when Edgar, Jerome and Linda appeared during an official presentation of the italian record company "Les folies art" which distributes "Turn of the tides" in Italy. 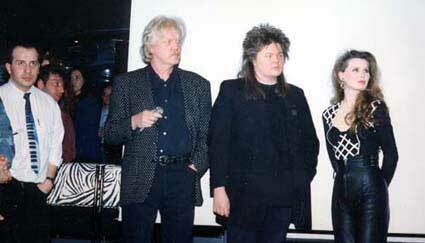 This meeting with journalist but also with some fans took place on March, 6th 1994 at the "Sesto senso club" in desenzano sul Garda, near the Garda lake (Northern Italy). An italian television-crew asked TD some questions for an interview which was broadcasted a few days later. Nearly 100 people in the Club asked many questions about he latest release. 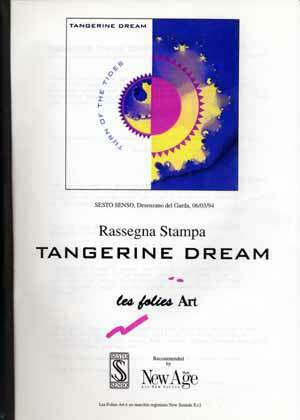 Especially fans and collectors wanted to know many details about the last 13 years while Tangerine Dream did not appear officially in Italy. Before, the band was there for the last time in 1981 when an extensive european tour also included gigs in Rome, Firenze and Bologna. 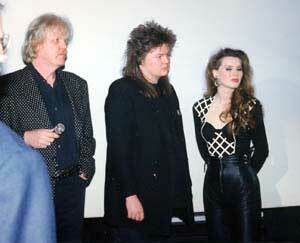 For the first time, some video-shots made for "Turn of the tides" were presented on a big screen. 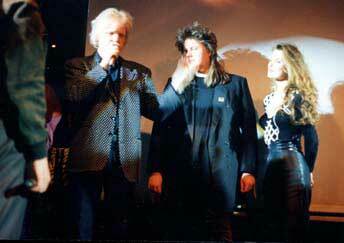 These clips were especially produced by the italian company for this event. The film features most time landscapes with sometechnical effects, but contains also some pictures of TD in the studio in Vienna. 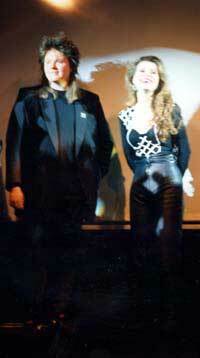 Some of the video material was also used for the broadcast of the TV interview. When presentation was over, most of the italian people left the Club with the feeling of having met some real - but uncommon - rock-giants. Many thanks to Franco Clementoni from Rome in order to have given all the material to me .